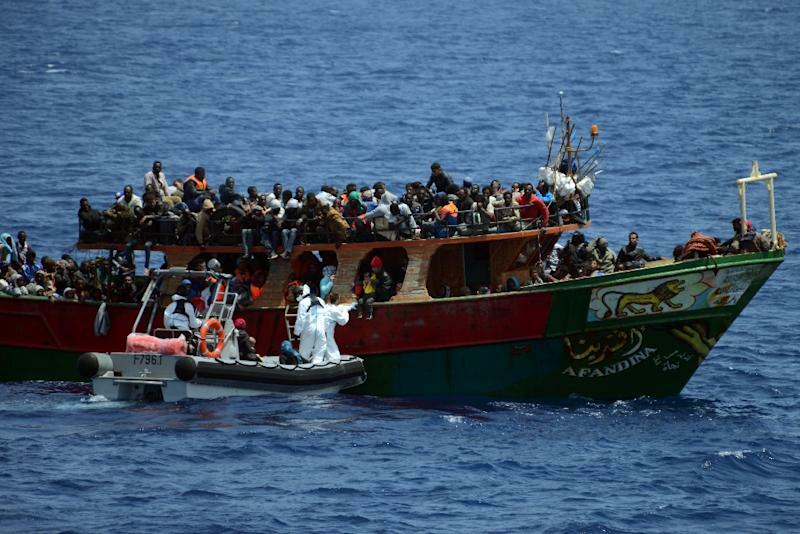 Brussels (AFP) - EU member states approved on Monday plans for military action against people smugglers in the Mediterranean, seizing and if necessary destroying boats to break up the networks operating out of Libya. "This important transition will enable the EU naval operation against human smugglers and traffickers in the Mediterranean to conduct boarding, search, seizure and diversion (of vessels)," the EU's council of ministers said in a statement. The European Union launched a first, intelligence gathering phase of its EU NavFor Med operation in July and with that objective met, ministers agreed it was time to move on to the next step, the statement added. The decision comes as EU interior ministers meet in Brussels to try and agree quotas for the redistribution of the massive flood of migrants fleeing war and upheaval across the Middle East and North Africa. Many member states were reluctant to step up action against the traffickers for fear of getting embroiled in Libya, where rival factions have been fighting it out for control since the overthrow of longtime strongman Moamer Kadhafi in 2011. EU leaders agreed however that there had to be a much tougher response, including the use of force, after more than 700 migrants drowned off southern Italy in April. The second phase of the operation approved Monday still restricts EU NavFor Med to action in international waters. 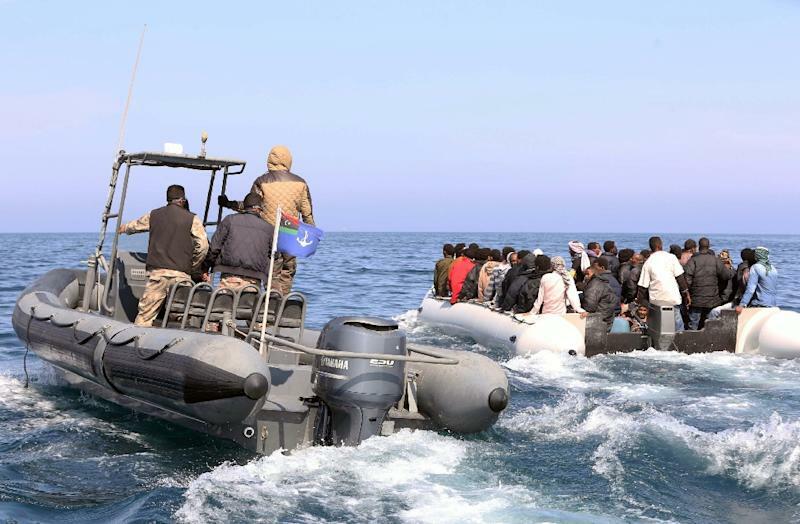 A third phase involves military action against people smugglers inside Libyan territorial waters, aiming to destroy their boats and networks before they set sail. This step is more controversial given the increased risks and requires at a minimum a UN Security Council resolution and preferably Libyan government agreement. EU efforts to help establish a national unity government in Libya which could grant such approval have so far failed but special UN envoy Bernardino Leon reported at the weekend that progress was being made. Russia, current president of the UN Security Council, has said a resolution could be adopted this month but it would only apply to action on the high seas. More than 350,000 people have risked their lives crossing the Mediterranean this year, according to the International Organization for Migration, with nearly 3,000 losing their lives. EU NavFor Med currently comprises four ships -- one Italian, one British and two German -- and sources said it will likely need several more vessels for the enlarged mission which is expected to begin next month. The EU, which has no central armed force of its own, has taken part in a whole series of peacekeeping and civilian emergency missions, among them anti-piracy operations off the Horn of Africa, and military training in Somalia and Mali.